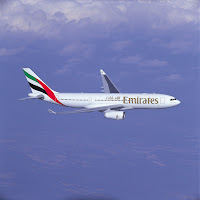 DUBAI, U.A.E, 29th March 2009: Reinforcing and strengthening the airline’s commitment to the Middle East, Emirates has today announced increased services to three of its key regional gateways including; Dammam, Beirut and Tehran. Starting from the 1st May, Emirates will introduce two additional weekly flights to Dammam, three additional weekly flights to Beirut and an extra two weekly flights to Tehran, further reinforcing the airline’s extensive operations across the Middle East. Recent statistics released by the International Air Transport Association (IATA) show that demand for services across the Middle East grew 3.1 per cent in January 2009 despite the global economic downturn, with Emirates well placed to capitalize on this growth. The additional flights to Beirut, Dammam and Tehran marks the second significant increase in flights across the Middle East for Emirates - in February Emirates added capacity to Amman, Riyadh and Jeddah - bringing its weekly operation to: seven flights to Dammam, 17 flights to Beirut and 21 flights to Tehran. The airline has an extensive Middle East network covering 14 cities with 180 flights per week. With the additional flights to Dammam, Beirut and Tehran starting May 2009, Emirates will serve the region with 187 flights per week.